Make an impression with our timelessly elegant men’s designer 3mm domed comfort fit 10K yellow gold wedding band. This ring makes a huge impression for a small band. 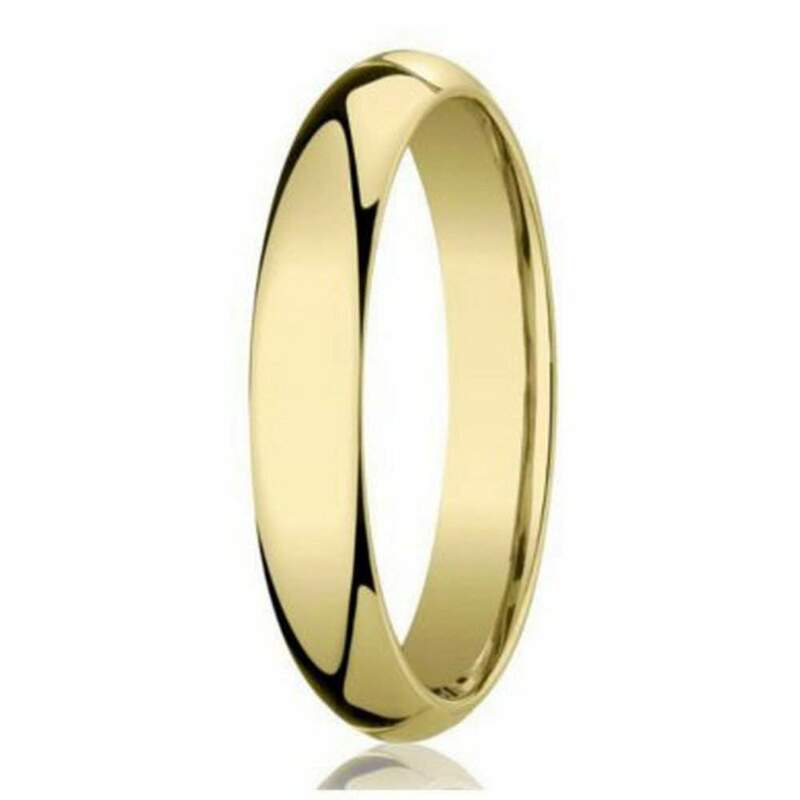 Attractive 10K yellow gold is formed into a 3mm comfort fit band with a classic polished dome shape. Gold is the only naturally yellow metal, and this designer band showcases its exclusive look beautifully. This is the perfect option for the man who prefers the simple things in life. Someone who doesn’t need a lot of fuss and frill, and prefers to keep things classic. With a shiny gleam, and no additional embellishments, this is a great way to share your commitment with the world, while still being subtle. Our men’s designer 3mm domed comfort fit 10K yellow gold wedding band offers a comfortable fit, which is good for a piece that will be worn every day. Not only is it lightweight, but it also features a comfort fit band. Comfort fit rings usually measure ½ size smaller due to the additional metal inside the ring. We recommend having your finger measured for a comfort fit ring at your local jewelry store. If you want to add a special touch that won’t detract from the overall classic appearance, we offer custom engraving of up to 30 characters. You can add the date of your nuptials, initials, or a short lyric.